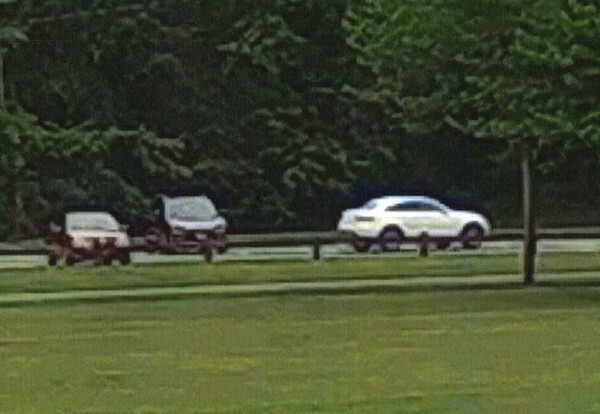 PLAINVILLE - Police are seeking information about a suspect vehicle that was seen in the area of multiple car break-ins Thursday morning. The police department posted a photo of the vehicle, described as a “Mercedes Benz type SUV” with Florida license plates, to its Facebook page on Thursday. Police said the vehicle was seen in the area of multiple car break-ins at Norton Park. Police also reminded residents to keep their vehicles locked and to not keep valuables in plain view. No further information was released about the break-ins. Anyone with information has been asked to contact local police at 860-747-1616. Posted in New Britain Herald, Plainville on Thursday, 13 September 2018 14:09. Updated: Thursday, 13 September 2018 14:11.